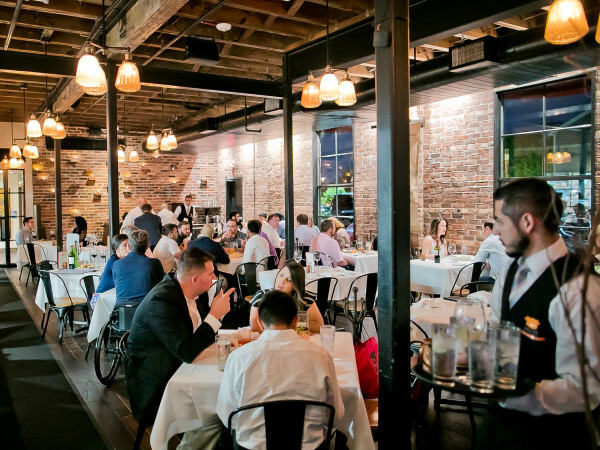 Houston's dining scene will soon make another appearance in the national spotlight courtesy of one of the country's most popular celebrity chefs. 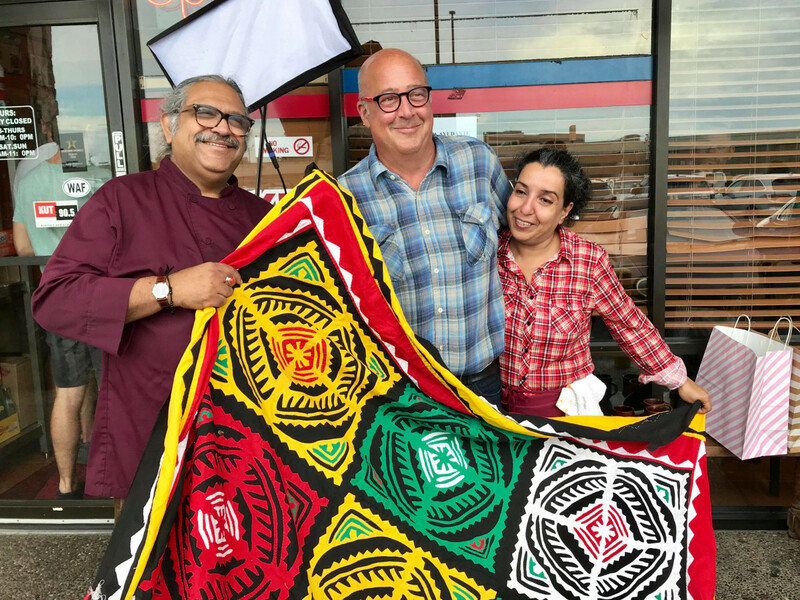 Andrew Zimmern spent the weekend in Houston filming at a number of local restaurants for the second season of The Zimmern List, his Travel Channel show that guides viewers to the chefs favorite things to eat in various cities across America. While the chef is best known for his show Bizarre Eats where he travels the globe eating unusual food, this program is designed to give viewers a list of places they can easily visit. 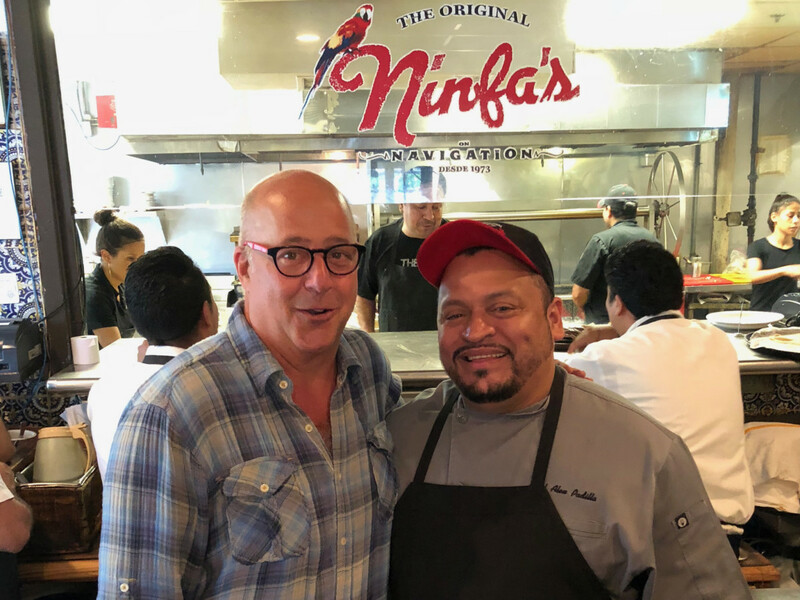 While it's difficult to tell all of the places Zimmern filmed at during his visit, stalking social media shows that he included Himalaya, Better Luck Tomorrow, Crawfish & Noodles, Hugo's, The Original Ninfa's on Navigation, and Gatlin's BBQ. Himalaya is the only stop that Zimmern acknowledged on Instagram. In a video that showed an extensive array of the restaurant's signature dishes — including fried chicken, hunter's beef, goat masala, chicken masala, steak tikka, and saag paneer — he wrote that Azra and Kaiser Lashkari's Indo-Pak restaurant is "almost indescribably delicious in every sense of the word." 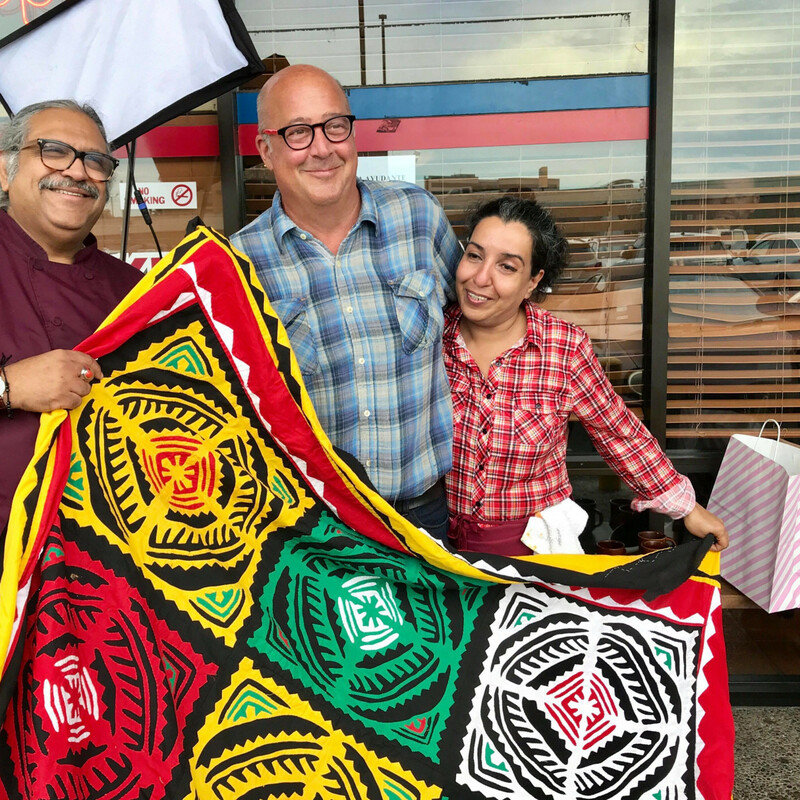 Lashkari tells CultureMap that Zimmern's preparation impressed him. "Just like Anthony Bourdain, he had done his research. He knew about us. I was surprised at some of the things he said. He knew how the hara masala was made. I'm hugely honored." At Better Luck Tomorrow, Zimmern tried the bar-restaurant hybrid's Party Melt (a patty melt), beef tartare, and the Not a Pizza, a scallion pancake topped with burrata, onions, and anchovy-garlic bagna cauda. 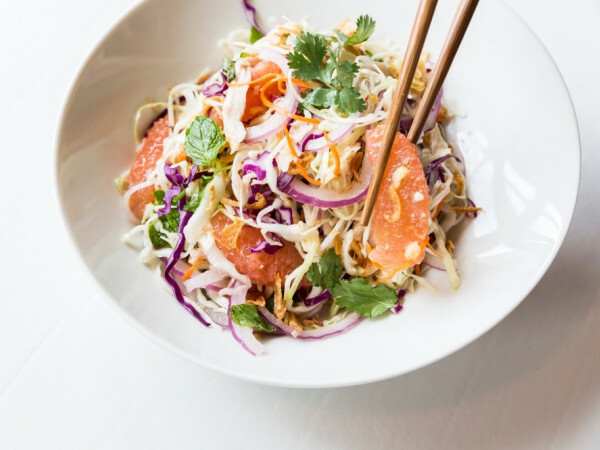 "He noticed that all the food was easily shareable," chef-owner Justin Yu tells CultureMap. "And had a lot of texture, which to me is a sign of someone who's just eaten at a lot of difference places and notices a lot of details." Zimmern's exact menu at Crawfish & Noodles is still a mystery, but one Instagrammer grabbed a picture of him with James Beard Award winner Chris Shepherd and chef-owner Trong Nguyen. Another Instagram user also spotted Shepherd and Zimmern at Gatlin's. 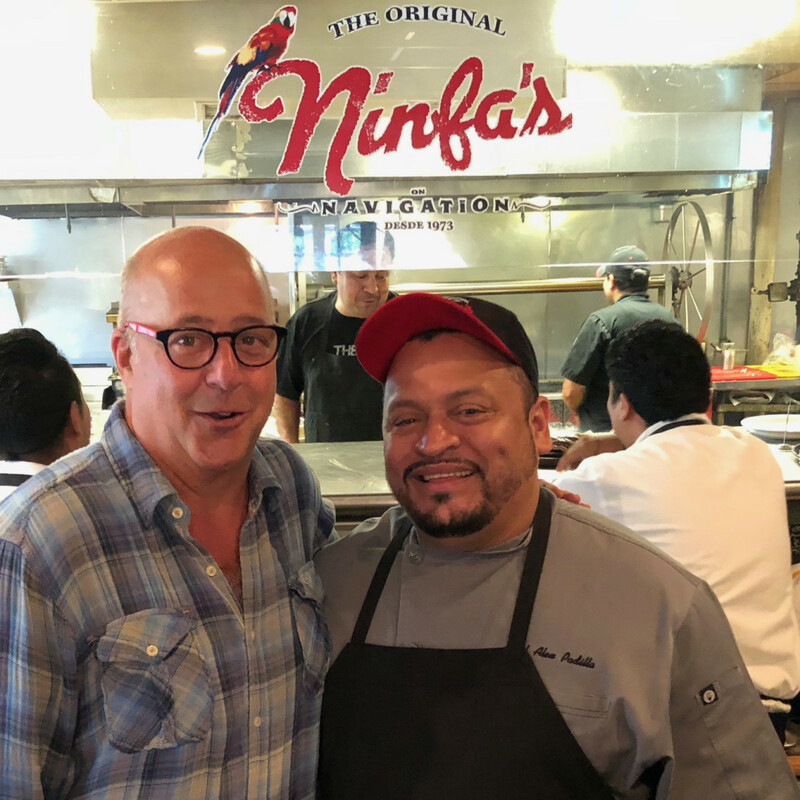 At Ninfa's, Zimmern ate fajitas, natch, but also spent time in the kitchen with executive chef Alex Padilla where he observed the preparation of a whole fish and octopus tacos — both of which utilize the restaurant's wood-burning oven. Legacy Restaurants CEO Jonathan Horowitz echoed some of Lashkari's comments about Zimmern's preparation. "The experience was really very good. His crew was great — extremely professional and well organized. They did a lot of work on the front end and were very prepared; they knew exactly what they wanted and what they were doing," Horowitz says. "Andrew was quite nice and spent some time visiting with guests and staff. We certainly are looking forward to seeing the episode." 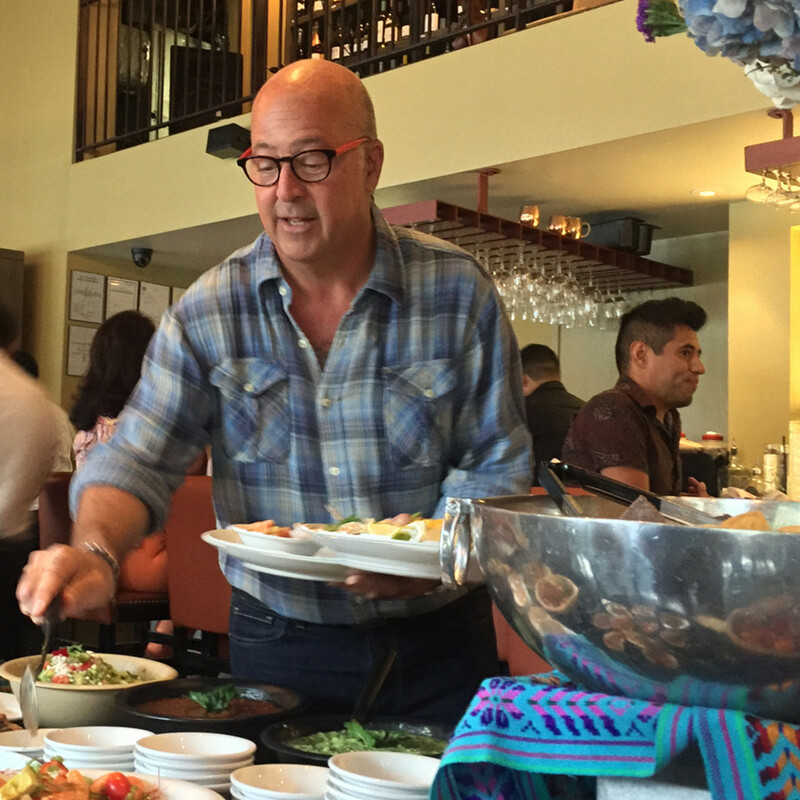 On Sunday morning, Zimmern stopped by Hugo's to experience the restaurant's signature Sunday brunch. 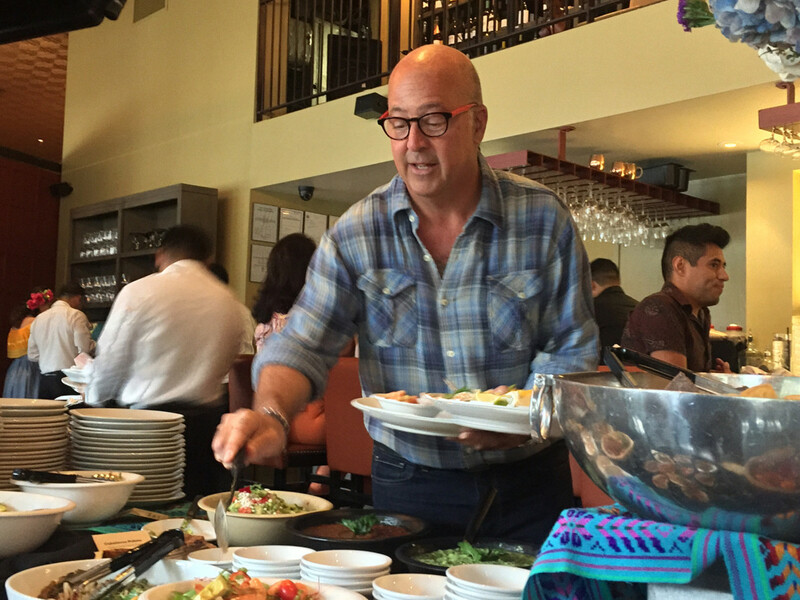 A representative confirms that Zimmern tried almost the entire spread, including "ceviches and salads to barbacoa, carnitas, arroz a la tumbada (rice with seafood) poached eggs on sweet cornbread, chiles en nogada, chilaquiles, enchiladas de pescado a la Veracruzana, a variety of tamales, huevos con chorizo, and more." Look for the episode to air sometime in the fall. If the frenzy is anything like the buzz created by the Houston-focused episode of David Chang's Netflix show Ugly Delicious, curious diners will want to visit these establishments now, rather than after Zimmern shows them to the world.